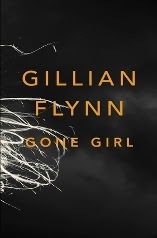 Gillian Flynn's Gone Girl seemed to be the book to be seen reading on the Tube last year, so just to be awkward I've waited until this year to catch up with it. It does turn out to deserve its popularity though: Amy goes missing on her five-year wedding anniversary, and her husband Nick is the obvious suspect. The story is told alternately through the point of view of the couple, Nick's chapters starting from the day of her disappearance so we see a couple who are being slowly pulled apart by financial problems, and Amy's going back to their first meeting, so we see a more hopeful time and what brought them together. As Nick protests his innocence both to the police and the readers, evidence against him seems to mount up. But the book then takes a surprise flip into a different direction altogether, with further twists along the way, which means there's not much more I can say about it without spoiling it. But Flynn presents the various red herrings and fakeouts with such conviction the book turns out to be gripping and really effective.